The Nubia X is one of a very few phones with working displays on both sides. It also now has Android 9 (Pie), albeit in beta form. Its maker is releasing it in a form that requires installation via local upgrade. 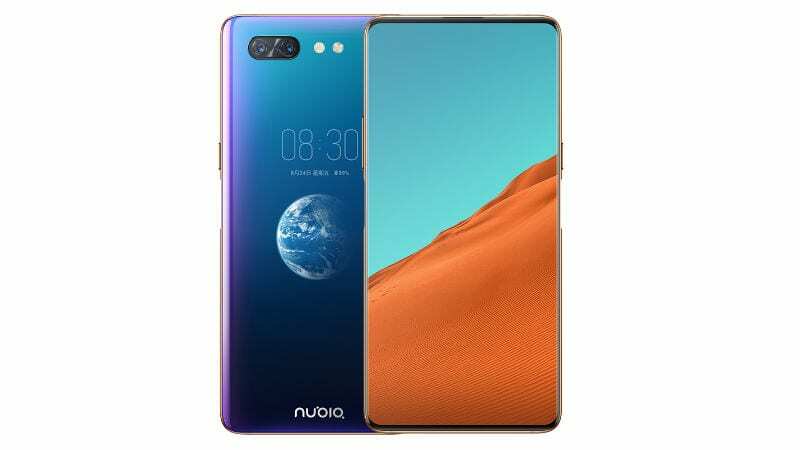 The Nubia X is a 2018 flagship with a striking unique selling point: a dual display that solves the problem of the notch by making a single set camera modules the 'rear' and 'selfie' shooters simultaneously. It was launched with Android 8 (Oreo) out of the box. Now, however, the OEM has prepared a version of its successor, Pie (or 9.0) that has been optimized for the X's unusual form-factor. This ROM (apparently called JOS, as opposed to the more normal Nubia UI) is still in beta. However, it has been released publicly for those users who would like to test it already. Nubia has advised that this is not done via conventional over-the-air upgrades, but rather through what is known as a local upgrade. This involves downloading the OS file directly to the phone's SD storage, then navigating to 'System Update' in the X's Settings and selecting the 'Local Upgrade' option. Nubia claims that the resulting software upgrade improves the UI's performance, stability and smoothness, in addition to that of some third-party apps including certain games. However, as with all betas, users should anticipate unexpected bugs and discrepancies compared to a corresponding stable version.